Billy Gene Thompson of Kevil, KY passed away on Tuesday, June 12, 2018 which was also his 90th birthday. He was an Army Veteran and was involved in the Korean Conflict. 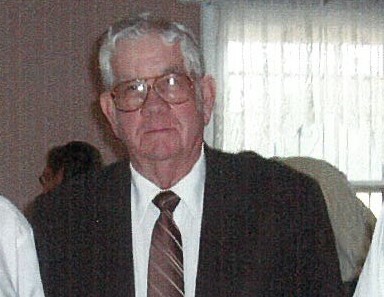 Billy was a member of New Liberty United Methodist Church. He was employed at Ohio Valley Supply Company before he went to work for Guy Gray Supply where after 20 years he retired. Billy is survived by his wife of 65 years Ruby Kelley Thompson; one son, Russell Gene Thompson (Donna) of Lone Oak, KY; three daughters, Patricia Ann Hayes of Paducah, KY, Paula Renee Thompson of Paducah, KY, and Pamela Sue Thompson of West Paducah, KY; seven grandchildren, Brad Miller, Michael Miller, Derrick Miller, Trent Thompson, Brittany Thompson Bartley, Miranda Shoulta, and Zachary Rudolph; nine great grandchildren, Brandon Miller, Raelyn Miller, Allie Miller, Adam Miller, Andon Miller, Aaron Miller, Bailey Thompson, Brady Thompson, and Avery Grace Baker; two sisters, Hilda Cole of Georgia and Ann Nearing of Oregon. A special thanks to his caregiver and special friend Donna Pirtle. He is preceded in death by his parents Pete Thompson and Della Brigman, two brothers Bobby Thompson and Maurice Brigman, and one sister Virginia Kaler. Visitation for Billy will be held Friday, June 15, 2018, at Morrow Funeral Chapel in LaCenter from 5pm to 8pm. Funeral will be Saturday, June 16, 2018, at Morrow Funeral Chapel in LaCenter starting at 11am with Rev. Brian Nance officiating. Visitation will also be held from 8:30 am up till funeral time on Saturday. Burial will follow at New Liberty Methodist Church Cemetery in Kevil. Contributions may be made to New Liberty United Methodist Church General Fund, 6955 New Liberty Church Road, Kevil, KY 42053.